When I was diagnosed with prostate cancer in the year 2000 I had already lost my father and both grandfathers to the disease. This made me the third generation in my family to face prostate cancer. However, it was some years later that I understood the important role of genetics in a man's prostate health. Researchers are working to pinpoint the exact genetic reasons that African American men are diagnosed with a 60% higher rate of prostate cancer and die from the disease at a 130% higher rate than white men. While this work is being pursued new prostate cancer treatments are continuing to be developed and approved to treat the disease. 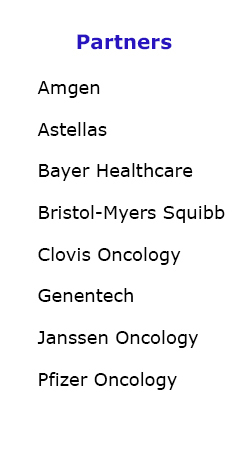 Each of these new treatments is approved based on a clinical trial study. More and more doctors are focused on using genetic profiles to determine which treatment is best for individual patients. This is referred to as personalized or precision medicine. The problem is that African American men have not been participating in clinical trials in large enough numbers for researchers to know which treatments may or may not work best for us. PHEN's Clinical Trials Rally is aimed at raising the level of clinical trials education and awareness and increasing African American participation in prostate cancer clinical trials. 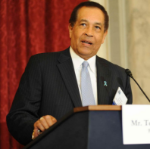 We cannot be left behind with new treatments if we are going to eliminate the prostate cancer racial disparity. The decision on whether a man should participate in a prostate cancer clinical trial has to be made between him and his doctor. However, we trust that our clinical trials rally information will help you make better informed decisions with your doctors. There are benefits from clinical trials that you may realize while you are on your prostate cancer journey today, and possible benefits for future generations within your family. My best to you in our fight against prostate cancer.